It's "time" to show your support for cancer research! Our fabulous steel back style Hope Watch features quartz movement, analog roman numerals and a second hand. Adjustable band fits most women's wrists. 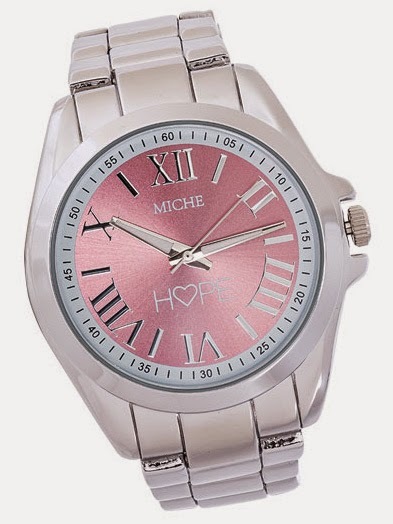 Check out the MICHE Hope logo and dusty rose face. Battery along with operation and care instructions included; 1 1/2 diameter crystal. A portion of each Hope design purchase goes to support cancer research.